I've been wanting to share this for a while, because it is just so simple and delicious! The problem is that when I cook, I very rarely measure....so I have a hard time explaining the recipe step-by-step. Well, here is my very best effort in order to share Grandpa's sauce. I think the only thing that makes his sauce different from any other marinara, is that he would caramelize the onions. This gives the sauce a sweeter taste. So good! *I'm not even going to put measurements for the seasonings - just throw in how ever much you want....sorry for not being specific! 1. 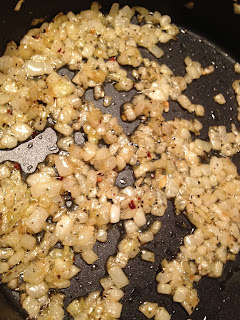 On medium heat, saute 2/3 of the chopped onions until they are translucent. Then add salt and pepper. Turn the heat down to low, and continue to saute onions until they are caramelized. You can spend as much time as you would like on this. (Do not burn them!) Grandpa used to cook the onions down for a good 45 minutes at times. I usually spend about a half hour, however I have done less than this and the sauce still comes out good. 3. 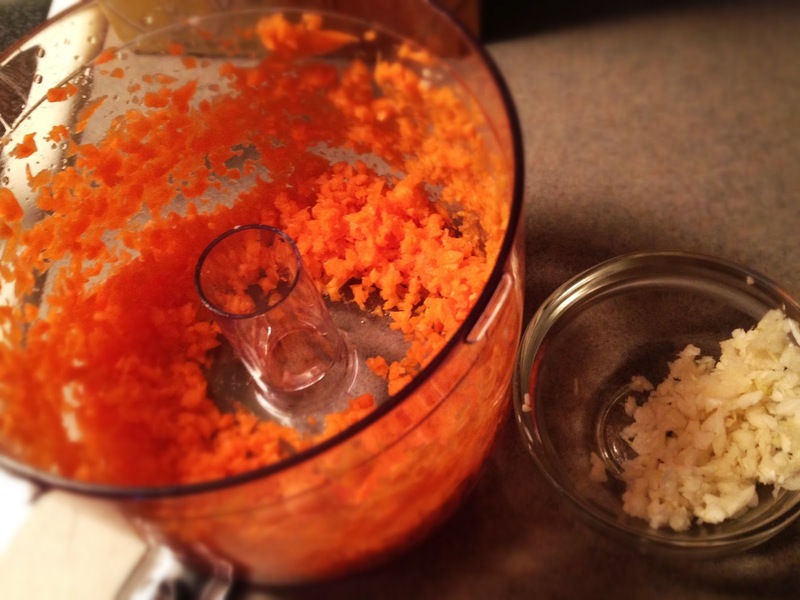 Saute garlic for about a minute or two, then add in chopped carrots for another few minutes. 5. Add your crushed tomatoes, then put 1/2 can of water into the sauce (use the crushed tomato can -it gets all the excess). 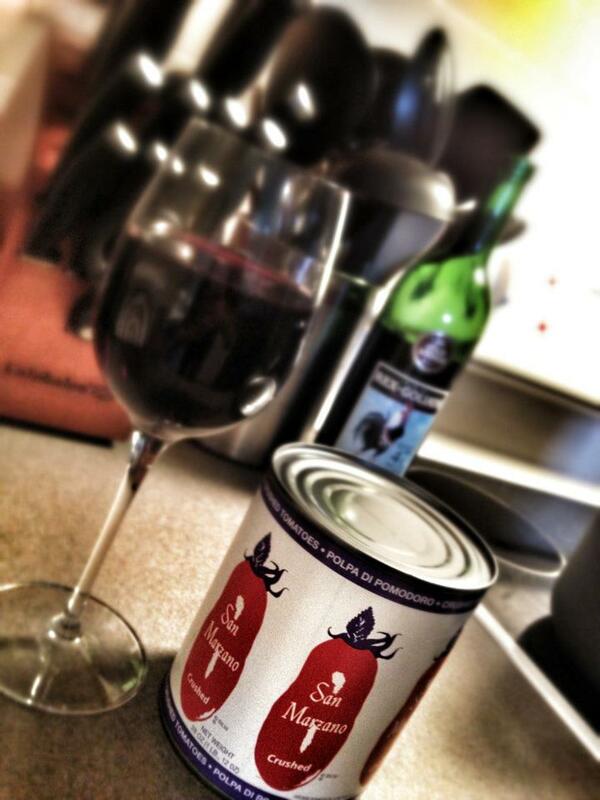 Also, add the tomato paste. 6. Bring the sauce to a bubble, then turn the heat to low....and let it cook for at least 30 minutes (I usually let it go for an hour), stirring every once in a while. I also add a handful or two of parmesan cheese as it cooks. I leave the lid propped open to let some steam escape. If the sauce gets too thick add more water. Sounds good - Grandpa would be proud! This looks great! What kind of pasta do you like with it? 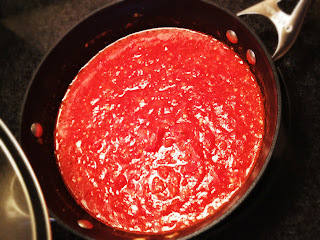 I use a sauce like this as the base to many wonderful dishes...Great job on the blog Steph!!! Usually I keep it simple with a wheat pasta, although there is nothing like the real thing! Rotini or rigatoni is my favorite!! !